New 2017 PR & Marketing Summer Intern – Jena Wimsatt - DPR Group, Inc.
DPR is excited to introduce our new summer intern, Jena Wimsatt! While at DPR, Jena will learn the fundamentals of PR and marketing and help our account teams develop and implement strategic projects to enhance the brands of our clients. She will be responsible for various day-to-day activities, including tracking client hits in leading industry media outlets, writing social media posts, transcribing interviews, writing and editing press releases, and participating in client calls and meetings. Additionally, she will conduct media outreach and has already started working on her HubSpot Inbound Marketing certification. These activities will provide her with hands-on experience and knowledge that she can utilize in her future career. Jena is a junior at James Madison University (JMU) in Harrisonburg, Virginia, where she is completing an undergraduate program to receive a Bachelor of Science degree. She majors in communications with a concentration in public relations and is minoring in writing, rhetoric and technical communication. 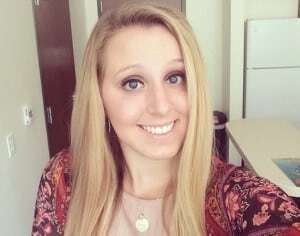 Notably, she is a member of the Public Relations Student Society of America (PRSSA) at JMU. Outside of her summer internship at DPR, Jena is out and about in Frederick or Hagerstown jamming to awesome music while working events for the Manning Media radio stations (Key 103, 106.9 The Eagle and Morefm). She is a Street Teamer, which means she sets up broadcast equipment at the events and lends her bubbly personality to interacting with the radio stations’ fans and giving away free prizes. If you’ve attended an event while she was working, you may know her better by her nickname, J3. In her spare time, Jena enjoys spending quality time with her three loving cats at her home in Middletown, Maryland, where she has lived her whole life. Her favorite activities include: shopping, eating, watching Netflix and hiking.